If you are not familiar with EMP’s (Electro-Magnetic Pulses) and their destructive effects, then take a few seconds to check out this short article for a better understanding. 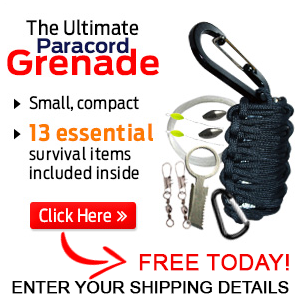 When it comes to things survival related, such as Faraday Cages, I seldom look beyond the U.S. military to determine whether or not it’s a good idea, or a necessity…and the U.S. military has built some of the largest Faraday Cages on Earth. NORAD, which is housed within Cheyenne Mountain, is but one of the Faraday capable facilities; it has been hardened to withstand multiple EMP’s from nuclear strikes. Additionally, some state governments are also taking steps to provide protection against the possibility of an EMP by passing legislation that specifically calls for the hardening of the local electrical grid. In essence, a Faraday Cage is an enclosure that has an outer layer capable of conducting electricity, yet has an inner layer that is incapable of conducting electricity. The sole purpose of these contraptions is to provide protection for electronics in the event of an EMP! The picture above shows a .50 caliber ammo can that is in the process of being converted into a small-scale Faraday cage. The exterior of the can is metallic so it will conduct electricity, while the interior is being lined with cardboard, which is incapable of conducting electricity. This is by far one of the easiest ways to build a Faraday cage, and one of the cheapest. These empty ammo cans are available at almost every military surplus store across the nation and cardboard is available in the form of packaging. Most of us have a box of pasta or two up in the cupboard. In a pinch, this can be emptied out and converted into a small-scale Faraday cage capable of holding cell phones, maybe a tablet, or other small electronics. It is another very easy DIY design to master and only takes a matter of minutes to assemble. 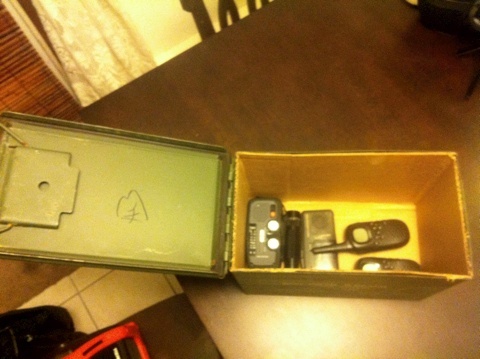 Empty the box of contents, double wrap with heavy duty aluminum foil, place electronics inside and seal off with duct tape. Aluminum trash cans are still available for purchase from a number of big box retailers and local hardware stores. This is another very effective, yet simple DIY Faraday cage ideas. 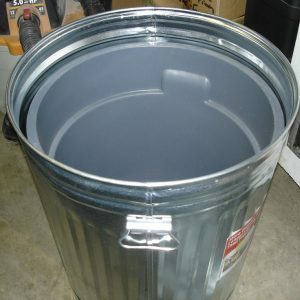 Buy the trash can, line it with a layer of cardboard, or other non-conductive material, such as a rubber trash can of a slightly smaller size, make sure no metal is visible on the interior, add your electronic items, place the lid on top and seal around the lip of the trash can lid with duct tape. Any cardboard box in good condition will suffice for this project. 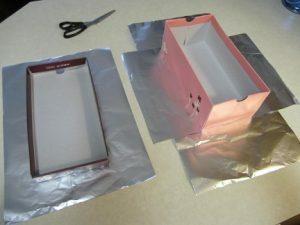 Wrap the bottom half of the box with heavy duty aluminum foil, stopping at the lip of the box. Wrap the lid of the box in similar fashion, making sure none of the foil enters the interior of the box area. Place contents inside and close the lid. Seal around the edge with duct tape for added protection. Candy, cookies, and popcorn are edible products that are often sold in tins. These containers make an excellent DIY Faraday cage for small scale electronics. You can line these containers with cardboard to prevent conductivity, or you can line them with an anti-static plastic bag. Make sure the inside of the lid has been covered with a non-conductive material, place electronic items inside and close the lid. You may want to seal around the edge of the lid with duct tape for added protection. Your DIY Faraday cage serves no purpose if it doesn’t work as intended. 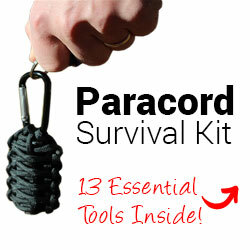 Each of these DIY designs can and should be tested prior to placing them in use. To test the effectiveness of your DIY design, place your cell phone inside any of these containers and make sure it is on. Close the lid of the Faraday cage and try to call the cell phone you stored inside. If the phone rings, then the Faraday cage is not working properly. If the cell phone does not ring, then the Faraday cage has performed as intended and can be considered ready for use. In the event you hear the cell phone ring, chances are the lid of the cage isn’t making tight enough contact to seal the container. Take duct tape and seal off the edge of the lid to the side of the container and repeat the test. If the Faraday cage works, then your project is complete. If the Faraday cage still does not function correctly, check the materials you are using for conductivity, and inspect the entire interior of the cage to ensure there isn’t metal showing through.